Four million UK and EU citizens stuck in a legal limbo, border checks re-installed, transportation severely disrupted, trade and supply chains breaking down... This gloomy scenario would kick in the day after Brexit, if no divorce deal is agreed by the EU and the UK, the EU Commission warned on Thursday (19 July). 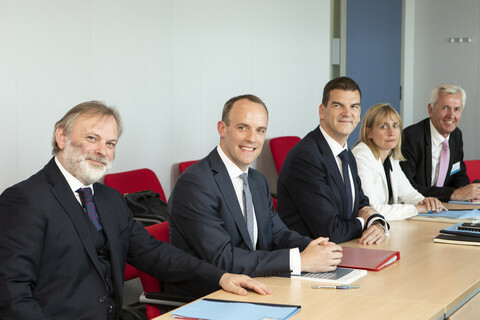 The commission urged citizens, businesses and member states to take action on preparing for 30 March 2019 now, highlighting the rising concerns of a no-deal exit in European capitals on the day the new UK Brexit secretary Dominic Raab arrived in Brussels for fresh talks. The commission has already set up a "preparedness group" last autumn of 16 people, which has screened EU law to check where changes might be necessary to mitigate the consequences to European businesses, citizens, and countries. Their published warning points to the 60 "preparedness notes" done by the commission on specific legal consequences of Brexit. "There is no certainty that an agreement will be reached," the commission said, adding: "Preparation must therefore be stepped up immediately at all levels and taking into account all possible outcomes." The commission said that many of the preparations can only be done by businesses and citizens and the EU executive urged them to prepare for when the UK becomes a third country, and no EU law would apply. That could mean, for example, companies seeking authorisations in another EU-27 member state they have originally secured from the UK, or for professionals to request the recognition of UK qualifications elsewhere. Trading companies that have no experience in commerce with third countries – non-EU members – should learn about the procedures. EU officials said they did not have an estimated cost of Brexit. "We don't have the luxury of doing an impact assessment," one official said on condition of anonymity. With only a few months to go until October, when negotiators hoped to finalise the withdrawal agreement to give time for ratification both in the British and European parliaments, strategic decisions will have to be made by companies exposed to Brexit urgently. If that deal is not sealed in time, there would be no transition period either, and thus no extra time to prepare. EU affairs ministers meeting in Brussels on Friday will also discuss preparations. "Preparedness is a big issue for us and work has been going on for some time. You have to prepare yourself for no agreement. We would like to have a withdrawal agreement as it [Brexit] would be a lot easier with it for both sides," one EU official said on condition of anonymity. 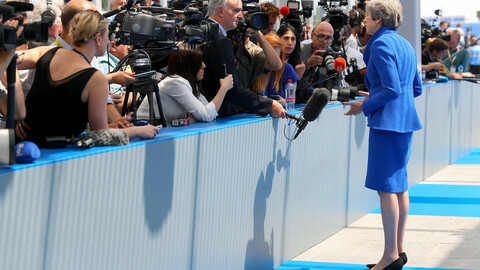 The call for preparation comes against the backdrop of the UK's internal political strife, with British prime minister Theresa May seeing two of her most senior cabinet members resign last week because of disagreements over the Brexit deal, delaying progress on talks. Several other junior ministers have also resigned. 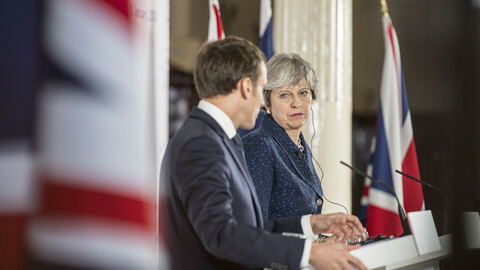 EU officials insist however the contingency planning for a no-deal divorce is not a sign of mistrust in the negotiations, although they admit the situation is fragile. "The situation in London is very volatile, the situation is very unclear, I think nobody can tell you what will be the political situation in the UK now. We [EU] have to be calm and prudent not to put oil on the fire," the official said. The commission's document pointed out that important issues, such as the protected geographical indications, the protection of personal data transferred to the UK, the police and judicial cooperation, dispute settlement in the withdrawal agreement including the role of the EU's top court, still have to be hammered out. 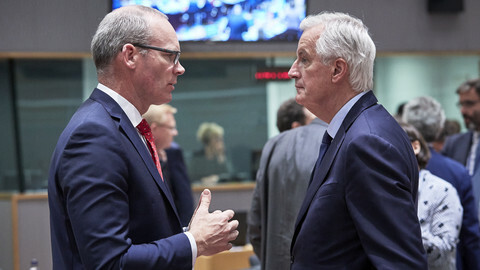 The EU executive also explicitly stated that "no progress" has been made in agreeing to a so-called "backstop" solution to the border issue on the island of Ireland, that would guarantee an invisible border at the EU's new external barrier between the Republic of Ireland and Northern Ireland. May has put forward a Brexit plan, the so-called white paper negotiated with her cabinet at Chequers two weeks ago, that would foresee a free trade deal on goods with the EU, but failed to address the Irish border issue directly. However, it did propose for the UK to collect tariffs on behalf of the EU, to avoid a hard border, something that the EU has rejected before as not viable. It has now also been criticised by May's rebel hardline Brexiteer Conservative MPs. Pro-Brexit MPs managed to push through an amendment this week to a trade bill, that excludes the possibility of the establishment of a customs border in the Irish sea - so practically ruling out this backstop option. The Irish border issue is also crucial in terms of preparations for a no-deal scenario, as the EU would have to set up border checks to protect the integrity of its single market. "We will not have loopholes in the external border of the single market," one official warned. Raab, on his way into his first talks with EU chief negotiator Michel Barnier since replacing David Davis, pledged the UK will speed up negotiations. "I'm looking forward to with new energy, vigour and vim looking at the detail of all of this. I'm looking forward to intensifying, heating up the negotiations," the new Brexit minister said in Brussels. 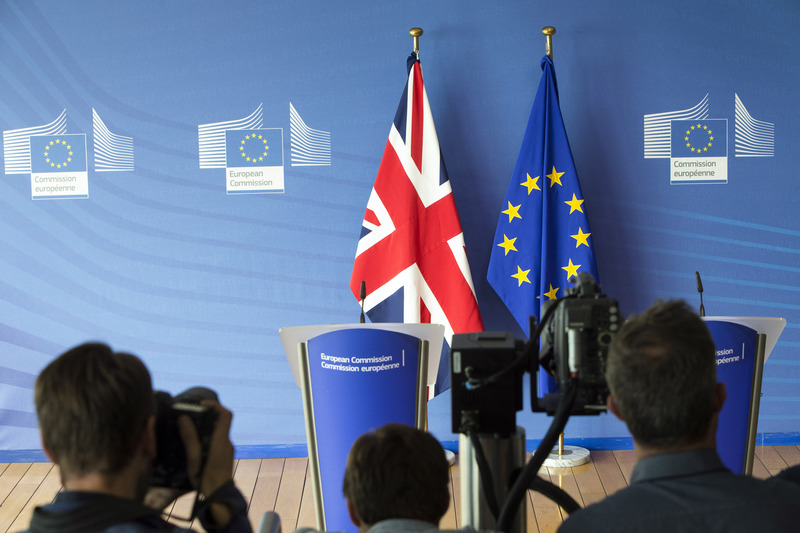 EU affairs ministers will have their first chance to discuss the UK's position on Friday. But none expects a unified message coming out of that meeting as the commission's negotiating team is still clarifying some of the white paper's proposals. "We are quite happy that we have something we can work with, but it is not more than that, it is not the ten commandments, it is a negotiating paper put on the table," said the EU official, adding that the EU doesn't negotiate the white paper, but the exit deal. Whether that exit deal is possible with the political uncertainty in London, the EU official still gave an optimistic assessment. "I'm very positive that trains will run for the Eurotunnel, and planes will land, and we don't have to expel UK citizens because they would be illegal aliens on 1 April, and this is through preparedness," the EU official quipped. He went onto say: "Everybody wants to have a withdrawal agreement, I'm still confident we can have one because the cost of not having a deal is disproportionally higher than having a withdrawal agreement." 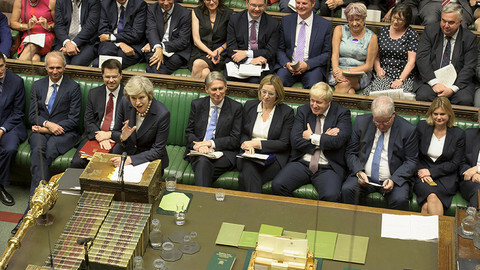 The British prime minister escaped defeat again in parliament, as EU governments question her ability to ratify any Brexit deal by Westminster. 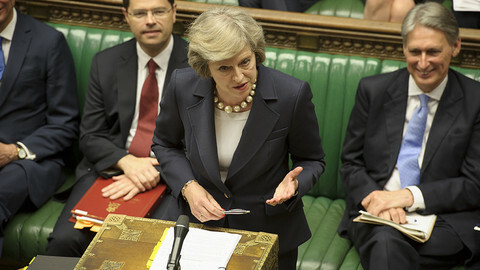 The British prime minister faces rebellion from both sides of her party as a key Brexit legislation is debated in parliament. The EU in the meantime gets ready for a no-deal scenario. In the wake of two cabinet resignations on the issue, UK government publishes its long-awaited vision for the future relationship with the EU, which would revolve around a free trade agreement on goods, but would end free movement. Further talks on the Irish border could continue next week as the EU is open to "any solution" that keeps the border invisible. 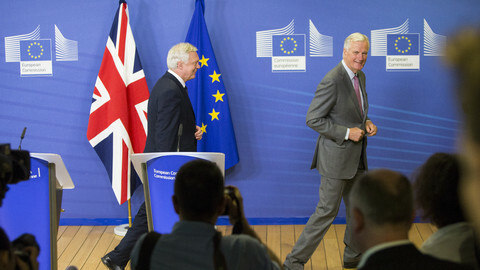 EU negotiator Michel Barnier said key questions remain over the UK's white paper on a future partnership. The British prime minister is meeting French president Macron in his seaside retreat. She will try to convince him that her plans for EU-UK relations are "mutually beneficial".